In the world of coin collecting, there is seldom anything worse, numismatically speaking, than to see a beautiful Uncirculated or Proof coin fall prey to the fundamental and often unseen hazards of the environment. When it comes to things made of metal, it is indeed ironic that an object so seemingly impervious to ordinary means of destruction and decay can be so susceptible to the ravages of both time and the elements. Customarily, and through most of minting history, coins have been fabricated from three basic forms of metal and their alloys – gold, silver and copper. The alloy combinations can certainly vary, depending on the desired results, from silver or copper within gold coins, copper used in making silver coins, as well as tin or zinc found in copper coins, and these being usually called ‘bronzes’. In more modern coin-making chronology, other metals have been fused into the process, such as iron, aluminum and copper-nickel alloys as a means of coinage components. All coins, as well as medals, except obviously those of pure gold, are by natural effects going to reveal forms of deterioration or degrading over a given span of time. This is particularly true if these coins happen to be kept or stored in or near the vicinity of damp or polluted environments. Any degree of dampness or humidity has a most damaging effect on iron, as well as any type of coin that has been buried in the ground or soil, simply because the conditions around the metal promotes or supports the corrosion process. In addition to this natural and usually harmful course of events, the corrosive by-products that accumulate on any metal surface will often hold salts that have been at hand in the surrounding soil. The presence of these salts just adds insult to the already present injury, by further encouraging the corrosion process of any remaining metal in the coin to continue, and for as long as moisture levels remain constant in the environment.. The effects of pollution will also have damaging and degrading results on coins and medals. The materials used in the manufacturing processes to make all kinds of things around the home, such as furniture, cabinets, and carpeting all release numerous organic acids into the atmosphere, which will eventually result in corrosive effects on lead and zinc, and is seen as a coating of white crystals. Another air-borne pollutant is hydrogen sulphide, which is emitted into the environment from naturally-decaying animal matter, and even certain paints and textiles. The unfortunate result in this case is what causes copper and silver to tarnish. With all of the corrosive elements present within the environment we live in, it is certainly wise to adopt the best coin and storage handling practices to reduce any further degrading or deterioration from simple human contact. 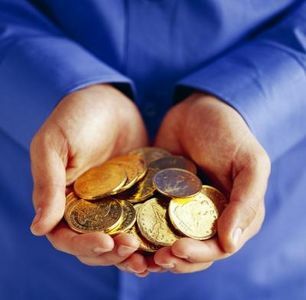 All coins should be properly handled by grasping them by their third side – the edge. Wearing cotton or polyethylene gloves is also very important, because they inhibit the transfer of the corrosive oils and acids found in our skin and hands. Any coin with mirrored surfaces, such as Proof coins, are very susceptible to fingerprint damage, which will certainly disfigure the coin and obviously reduce its intrinsic value to a collector. When storing coins individually, one of the best methods are in the coin holders referred to as ‘flips’. Coin flips are the perfect method to store and protect your coins, while still permitting each coin in your collection to be quickly and easily identified. There are vinyl flips, non-plasticized flips, and saflips, and the safest types are made of an archival-safe material commonly known as Mylar. These are produced in a wide variety of sizes for many coin dimensions, and have a convenient double-pocket design to hold both the coin as well as any descriptive notations. It is also recommended that certain types of these flips and other coin holders made with polyvinyl chloride (PVC) be avoided because of its long-term corrosive properties. Coin storage is critical to maintaining your coin collection. If coins are not stored correctly, they could be damaged over a period of time because of scratches, weight, moisture, oil, sunlight or even temperature extremes. There is an incredible variety of coin storage solutions on the market today, including coin folders, coin holders, coin cases, coin boxes, coin display cases, coin slabs, and snap-lock cases. You can also choose between 2 x 2 coin holders, ring-type, coin pages and coin binders. Whatever coin holder you think is appropriate, you must be careful to make your selection based on the correct coin size. Not all coin holders are sized in the same way, and it is important to make sure your coins fit the holders properly, especially if you’re buying air-tites or plastic coin holders. It is also wise to remember that wooden coin cabinets, specifically those made of oak, are not recommended as a means for storing either coins or medals. Wood, as well as paper, can give off acidic or other chemical vapors that will cause corrosion. As an alternative, try to use powder-coated metal storage cabinets or containers made of either polyethylene or polystyrene. It is also advisable to refrain from polishing rare coins, mostly because the natural patina caused by the accumulation of oils and oxidation over the coin’s lifespan often plays a significant role in how it is valued by collectors. Just as importantly, frequent polishing can decrease the keenness or clarity of the coin’s relief, as well as the legibility of its inscriptions. Using any type of commercial-grade polishes and dips should also be avoided to lessen the chances of residues being left behind in the crevices of a coin. These residues can have a damaging effect on the metal if it is not thoroughly removed. An artist’s brush (red sable #1 or #2) and distilled water is the best procedure to gently dislodge and remove these deposits. Be sure to allow the metal to dry completely before placing them back into their storage compartments. One final measure of precaution to really ensure your coin collection is kept from the environment’s corrosive tendencies is to take photographs of both sides of each coin. It can significantly reduce the effects of unnecessary handling when you can share pictures instead of fingerprints, in addition to digitally documenting the coins in your collection for insurance verification.